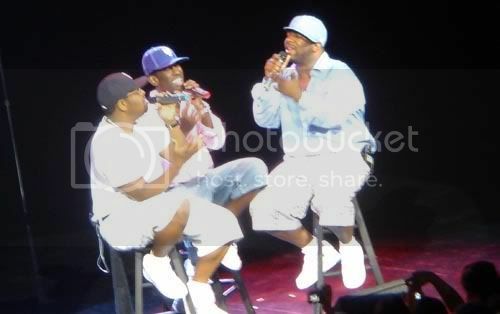 I want to spotlight, Boyz II Men The music that they made, was like no other. Guys today, in my age group, don't understand humility, they don't know when to say sorry. Many Boys, and I say boys because they clearly NOT Men, aren't humble. They want Women to be submissive and apologetic to them, when they don't earn anything. Please listen and take heed to the lyrics. I have to speak for myself and a few men out there because we all are different in our ways. With that being said I can say I am and upstanding and out spoken type of guy. Yet I am a humble man with great character at the age of twenty three. I have been in this situation before were I was with this women and things grew apart I felt as if I was a man about the problem but once the water runs dry or love is gone what more is there to do. One problem leads to another we found our selves fussing and fighting over nothing. Things where very unhealthy I feel some women don’t give to many men the chance to mess up at lest once or twice before they are put in the category as a dog and “just like any other man” the thing is that we are already put in this category despite the humility that we have. When a women heart has been broken once before they will always hold on to what they know and try in some type of way to not let it happen again in there next relationship. There for I disagree with the statement that men have no humility and that young men today don’t act there age as a grown man. The next one should be titled why don’t women give men a chance. Wow Fred, that's deep! You are right, there are some good guys out here, with a humble heart. You seem to be one. Please don't let your past ruin the good person that you are. Woman, often times do base present relations on a foundation related to the past. Thanks for going deeper into this post, and posting a male prospective.